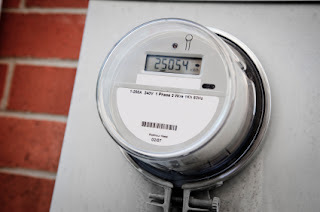 In driveways and backyards across the country, utility workers are busy replacing mechanical analog meters with new wireless meters that communicate directly with utility companies, informing them of your use of gas, electricity or water. Various reasons are given for the installation of the new so-called "smart" meters: the development of a nationwide "smart grid," the ability for the utilities to quickly identify outages and other service problems, and even the opportunity for them to implement time-based pricing structures. Consumers are being told the meters could help them save money, but the truth is the real savings will accrue to the utilities themselves. Laying off all their human meter readers will certainly help increase their profits. But there is one aspect of smart meters that few people seem to be aware of: it's the fact that smart meters emit high bursts of pulsed radiation that can affect everyone, from unborn children to senior citizens. Utility companies will tell you that the new meters put out less radiation than a cell phone, which is only true if you take the bursts of radiation and average them over time. The bursts themselves are quite strong, and according to some experts, are amplified when they pulse through a home's electrical system. And unlike a cell phone or wireless tablet, you can't turn off a smart meter when you want; it pulses constantly, every day, every hour, and sometimes multiple times a minute, depending on the model. Recent studies linking exposure to wireless radiation (also known as radio-frequency radiation, or RFR) have suggested a link between exposure during pregnancy, and neurological and behavioral problems in offspring. In one study conducted at Yale University, researchers showed that the behavioral problems of exposed mice were virtually identical to symptoms of ADHD in children. Other researches have demonstrated that our own human nervous system, which runs on tiny electrical-chemical signals, can be easily disrupted by the strong, erratic, pulsing nature of wireless radiation, and that the critical blood/brain barrier can be made more permeable in the presence of wireless radiation signals. So it's understandable that many families are making the decision NOT to allow a smart meter to be placed on their home. For those who live on Long Island, we have created Opt-OutLongIsland.com, a website with information about smart meters and sample letters to help consumers opt-out. As is often the case with many of the issues we work on, it seems that technology has gotten far ahead of science. It will take many years to do the studies to discover just how dangerous wireless radiation is. While we wait for those answers, it might be a good idea to reduce our exposures whenever we can. In fact, it seems like the smart thing to do.